Addiction to illegal opioid narcotics (such as heroin) and prescription opioids (such as morphine, hydrocodone, and methadone) are major public health problems in the United States. In 2015, approximately 2 million Americans were addicted to prescription pain relievers (obtained legally or illegally) and 591,000 people were addicted to heroin. In that year, 20,101 drug overdose deaths were related to prescription pain relievers, and 12,990 overdose deaths were related to the use of heroin. Intravenous heroin use is also associated with an increased risk of viral hepatitis, HIV infection, and crime. Problems related to opioid misuse cost the U.S. economy an estimated $78 billion per year. Once someone has become addicted to opioids, discontinuing them can be quite difficult. Symptoms of opioid withdrawal include agitation, sweating, shivering, tremor, diarrhea, nausea, and vomiting. These symptoms generally last 5-14 days, depending on the drug used. A conventional detoxification program for opioid dependence may include switching to a longer-acting opioid (such as methadone) followed by gradual reduction of the dosage of the substitute drug. Buprenorphine hydrochloride, an opioid with partial agonist and partial antagonist actions, is an alternative to methadone. Clonidine is also used in some cases to prevent withdrawal symptoms. In order to reduce the likelihood of a relapse, a detoxification program should be accompanied by psychological counseling and support groups such as Narcotics Anonymous or a community residential program. The evidence discussed below suggests that the use of certain dietary modifications and nutritional supplements can decrease withdrawal symptoms and increase the success rate of an opioid detoxification program. The diet of opioid addicts frequently contains large amounts of refined sugar. In one study, mean daily intake of sucrose was more than twice as high in opioid addicts as in healthy controls (107 vs. 52 g per day; p = 0.001). The majority of addicts reported having intense cravings for sweets, which were sometimes as powerful as their craving for opioids. In addition to refined sugars being addictive in their own right, a study in rats suggested that consumption of certain sugars can somehow contribute to the biochemical state that leads to and perpetuates opioid dependence. In that study, rats were fed a standard diet for 8 days along with regular drinking water, a 25% glucose solution as their drinking water, or a 10% sucrose solution as their drinking water. All rats were then given an intraperitoneal injection of naloxone (an opioid antagonist). Naloxone had no effect on the rats given regular drinking water. However, in rats given the 25% glucose solution, administration of naloxone resulted in behavioral changes and biochemical imbalances in the brain that resembled the effects of morphine withdrawal. These same naloxone-induced biochemical imbalances were observed in rats fed the 10% sucrose solution (behavioral signs of withdrawal were not investigated in those rats). If consumption of refined sugar contributes to the addictive state, then elimination of sugar from the diet could make it easier for opioid addicts to withdraw from their drug. An approach similar to that used treat reactive hypoglycemia might decrease cravings for sweets, and thereby make it easier for opioid addicts to stop eating refined sugar. Such an approach would include avoidance of caffeine and alcohol; consumption of small, frequent meals that are high in protein; and supplementation with nutrients such as chromium, other trace minerals, magnesium, and B vitamins. Administration of vitamin C suppressed the development of morphine tolerance and physical dependence in mice and inhibited morphine withdrawal in guinea pigs. Of 31 patients addicted to various drugs, 58% had laboratory evidence of vitamin C deficiency. In uncontrolled studies of patients withdrawing from opioids, supplementation with large doses of vitamin C in combination with other nutrients decreased the severity of withdrawal symptoms or eliminated them entirely, and frequently reduced cravings for the drug. In one study, 30 opioid addicts withdrawing from heroin or methadone were treated with high-dose vitamin C along with supplemental protein and a daily high-potency multivitamin-multimineral supplement (providing 500 mg per day of magnesium). The dosage of vitamin C during the first 12-24 hours was usually slightly larger than the bowel-tolerance level, and ranged from 25 to 85 g per day (in divided doses, as sodium ascorbate). After the first 12-24 hours, the dosage was reduced to some extent according to the clinical response, although it was not clear from the report how much it was reduced. After a total of 4-6 days, the dosage was reduced further to a maintenance level of 10-30 g per day. If withdrawal symptoms occurred during the first 4-6 days, the dosage of vitamin C was increased. The patients also received 9 tablespoons per day of predigested liquid protein until they were eating well. With this regimen, withdrawal symptoms typically did not occur, and the patients experienced a rapid and striking improvement in well-being. In another study, 30 opioid addicts undergoing detoxification were treated with high-dose vitamin C along with other micronutrients and supplemental protein. One hundred eighty-six addicts were treated with medications to relieve symptoms, and 11 others received a combination of these treatments (with the nutritional regimen begun on the fourth day of detoxification). The dosage of vitamin C was 24-48 g per day (as sodium ascorbate) for 5-7 days, followed by 8-12 g per day for 14 days. The patients also received 20 ounces of liquid protein 3 times per day for 3-5 days, a calcium/magnesium tablet 3 times per day, and a multivitamin-multimineral tablet 1-3 times per day. The nutritional regimen alone was slightly more effective than symptomatic treatment alone for relieving withdrawal symptoms. The best results were seen with combination treatment. The average time required for detoxification was 8 days with the nutritional regimen alone, 17 days with symptomatic treatment alone, and 10 days with combination therapy. Nearly half of the patients receiving the nutritional regimen reported having used heroin, methadone, or some other drug while continuing the vitamin C-based therapy. Of those, 60% stated that the nutritional treatment blocked the effect of the drug. Thirty patients with methadone dependence were randomly assigned to receive, in double-blind fashion, acetyl-L-carnitine (ALC; 2 g per day in 3 divided doses per day) or placebo during a 3-week detoxification period. Withdrawal symptoms such as muscle tension, muscle cramps, and insomnia were evaluated with the Short Opiate Withdrawal Syndrome scale, and pain was evaluated with the Huskisson’s analogue scale for pain. Mean severity of withdrawal symptoms (p < 0.05) and mean pain score (p = 0.01) were significantly less in the ALC group than in the placebo group. No adverse effects were reported. Magnesium supplementation delayed the development of morphine tolerance in rats. In a randomized controlled trial, supplementation with 732 mg per day of magnesium (as magnesium L-aspartate hydrochloride) for 12 weeks significantly decreased opioid use by 51% in opioid addicts.10 This effect may have been due in part to the aspartate component of the supplement, since administration of aspartic acid (2% in drinking water) has been shown to decrease morphine dependence in rats. One practitioner reported in 1954 that intravenous administration of B vitamins and vitamin C was beneficial for patients undergoing heroin withdrawal and, to a lesser extent, for patients withdrawing from morphine. The infusions contained thiamine (200-400 mg), niacinamide (100-300 mg), riboflavin (10 mg), pyridoxine (100-200 mg), pantothenic acid (0-25 mg), vitamin C (500 mg), and glucose (0-1 g), and were administered 2-3 times per day during the withdrawal period and less frequently thereafter. A 35-year-old man who was addicted to morphine came to my office in the early stages of withdrawal, with sweating and extreme agitation. He was given an intravenous infusion over a 10-minute period that contained 1 g of magnesium chloride hexahydrate, 2.5 ml of 10% calcium gluconate, 1,000 µg of hydroxocobalamin, 100 mg of pyridoxine, 250 mg of dexpanthenol, and 1 ml of B complex 100. In his agitated state, he was unable to sit still on the exam table, so we walked up and down the hall with a butterfly needle in his arm. Halfway through the injection, he was able to sit still, and by the end of the treatment his withdrawal symptoms were gone. The symptoms returned 36 hours later, at which time he returned for another treatment, which again relieved the symptoms in less than 5 minutes. He returned the next day, still symptom-free, for a third injection, which carried him uneventfully through the remainder of the withdrawal period. Further information and precautions regarding intravenous nutrient therapy are presented elsewhere. Opioid addiction is a complex problem, influenced by many different medical, psychological, and social factors. The evidence reviewed above suggests that various nutritional interventions can decrease withdrawal symptoms increase the success rate of opioid detoxification programs. Morabia A, et al. Diet and opiate addiction: a quantitative assessment of the diet of non-institutionalized opiate addicts. Br J Addict. 1989;84:173-180. Colantuoni C, et al. Evidence that intermittent, excessive sugar intake causes endogenous opioid dependence. Obes Res. 2002;10:478-488. Khanna NC, Sharma SK. Megadoses of vitamin C prevent the development of tolerance and physical dependence on morphine in mice. Life Sci. 1983;33(Suppl 1):401-404. Johnston PA, Chahl LA. Chronic treatment with ascorbic acid inhibits the morphine withdrawal response in guinea-pigs. Neurosci Lett. 1992;135:23-27. Croft LK, et al. Ascorbic acid status of the drug addict patient. Am J Clin Nutr. 1973;26:1042. Libby AF, Stone I. The hypoascorbemia-kwashiorkor approach to drug addiction therapy: a pilot study. J Orthomolec Psychiatry. 1977;6:300-308. Free V, Sanders P. The use of ascorbic acid and mineral supplements in the detoxification of narcotic addicts. J Orthomolec Psychiatry. 1978;7:264- 270. Evangelou A, et al. Ascorbic acid (vitamin C) effects on withdrawal syndrome of heroin abusers. In Vivo. 2000;14:363-366. Janiri L, et al. Acetyl-L-carnitine in the management of pain during methadone withdrawal syndrome. Clin Neuropharmacol. 2009;32:35-40. Margolin A, et al. A preliminary, controlled investigation of magnesium L-aspartate hydrochloride for illicit cocaine and opiate use in methadone-maintained patients. J Addict Dis. 2003;22:49-61. Koyuncuoglu H, et al. Antagonizing effect of aspartic acid on the development of physical dependence on and tolerance to morphine in the rat. Arzneimittelforschung. 1977;27:1676-1679. Gould J. The use of vitamins in psychiatric practice (abridged). Proc R Soc Med. 1954;47:215-220. Gaby AR. Intravenous nutrient therapy: Myers cocktail. In Gaby AR. Nutritional Medicine, Second Edition. 2017, www.doctorgaby.com, chapter 340. Gaby AR. Intravenous nutrient therapy: the “Myers’ cocktail.” Altern Med Rev. 2002;7:389-493. Reprinted with permission from the Townsend Letter. Dr. Gaby received his undergraduate degree from Yale University, his M.S. in biochemistry from Emory University, and his M.D. from the University of Maryland. He was in private practice for 19 years, specializing in nutritional medicine. 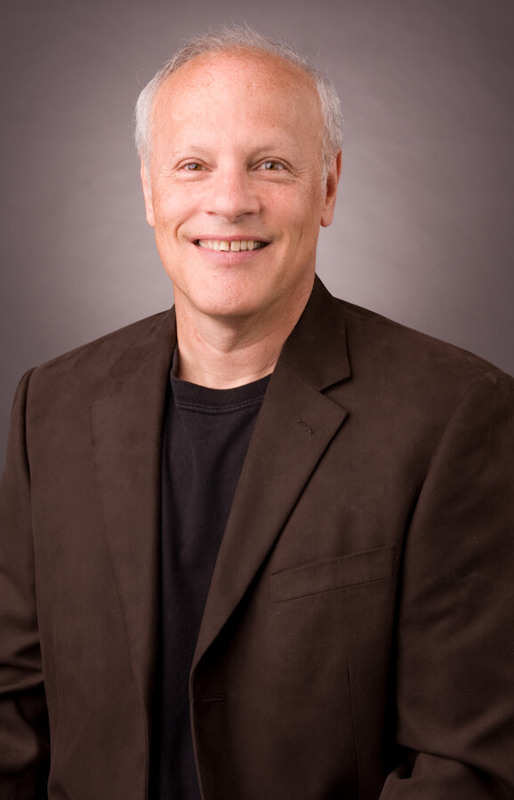 He is past-president of the American Holistic Medical Association who has given expert testimony to the White House Commission on Complementary and Alternative Medicine on the cost-effectiveness of nutritional supplements. He is the author of Preventing and Reversing Osteoporosis (Prima, 1994), The Doctor’s Guide to Vitamin B6 (Rodale Press, 1984), the co-author of The Patient’s Book of Natural Healing (Prima, 1999). 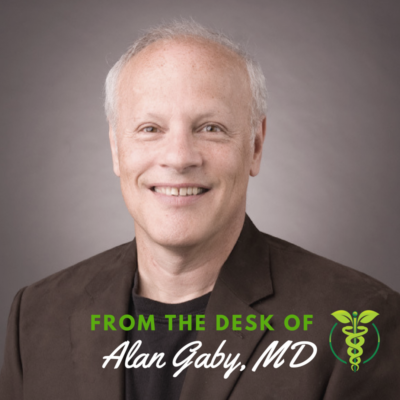 Dr. Gaby has written numerous scientific papers in the field of nutritional medicine. He has been the contributing medical editor for the Townsend Letter for Doctors since 1985, and was contributing editor for Alternative Medicine Review from 1996 to 2010. He was professor of nutrition and a member of the clinical faculty at Bastyr University in Kenmore, WA, from 1995 to 2002. In 2011, he completed a 30-year project, the textbook Nutritional Medicine, and has recently completed the updated Second Edition of the book.